Ferris Heart Sloane specialise in artificial flowers and greenery... Making everything from bouquets and chandeliers to flowerwalls, garlands and more. We’re collaborating with our good friends at Jessica Rose Flowers (www.jessicaroseflowers.co.uk),) to bring to you a marriage of great floristry! With Jessica’s wealth of expertise in real flower arranging and our knowledge and love of beautiful faux flowers, we’re bringing to you a flower crown workshop like no other. We’ll travel the length and breadth of the country and tailor make a package to suit you, send us a challenge – we love a challenge! So whether you’re organising your best friend’s hen-do and want something fun and crafty to do, or just want something fun to do in London, do let us know. Flower crown making is simple, fun and will leave you with something you can keep forever. Hired out a country house? We can come to you. Visiting somewhere new and want lunch and a workshop organised? No problem. 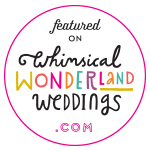 Looking for a WOW venue? Leave it with us. Want to add something saucy to surprise the bride to be? Tell us about it. We’re here to make hen do planning simple. Our workshops are not just for hen parties and flower crowns are not just for weddings (think festivals, holidays etc.) So, if you’re looking for a fun activity to do for a friend’s birthday, or just a cool day out, the same rules apply. We can help arrange everything! Q: What are the minimum and maximum number of hens? The minimum number of hens is six and the maximum - well there is no maximum. Q: What days of the week do you offer your flower crown workshops on? We work Monday-Sunday offering flower crown workshops in the morning, afternoon and evening. Q: We have some specific dietary requirements, can you ensure these are catered for? We work with some very well known venues who are used to looking after their guests so you will be in safe hands. Q: What do we need to bring with us? Nothing. Whether we come to you or meet you at a selected venue, everything is provided and everything tidied away. Q: We would like a specific theme for our flower crowns... can you organise that? You're wish is our command. From the classics to a specific theme we'll come armed with everything you need. Q: Do you charge VAT? No VAT is charged on top of our prices. We’ve partnered with the fantastic team at Bar Encore (201 Watling Street, West Towcester, Northamptonshire NN12 6BX) to bring you a fantastic and sophisticated night out. Bar Encore offers a Mediterranean inspired menu of Spanish Tapas, Greek Mezze and Venetian Cicchetti - small plates of food, perfect for sharing. Contact us on 01525 240280 or via email hello@ferrisheartsloane.com to book your place. Limited to 30 places only.